SynGard™ Fleet Engine Oils are formulated from premium synthetic base stocks and state-of-the-art additives to provide exceptional fleet engine oils for over-the-road, agricultural, logging, and industrial engines. Approved by all major OEM engine manufacturers, SynGard Fleet Engine Oils are a significant performance upgrade over all previous API categories. 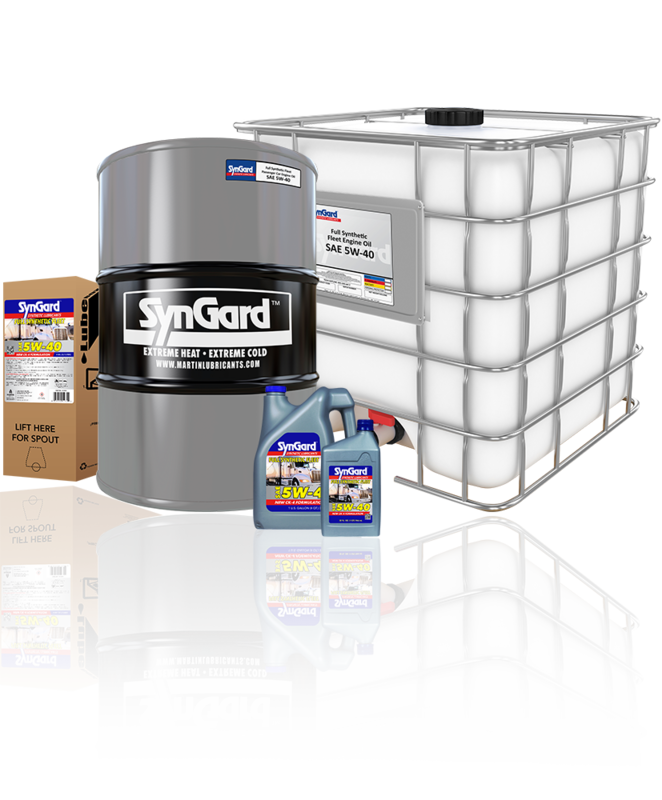 SynGard Fleet Engine Oils are available in the following viscosity: SAE 0W-40, SAE 5W-40.